A coworking is much more than a workspace. It is a professional environment that helps you to apply for your work in a much more competitive way than at home. However, in spite of prioritizing the advantages that working in this type of singular spaces can offer you, we must also take into account social characteristics. Reiterating the first sentence of the post, a coworking not only provides more job stability. It is a shared workspace that encourages business and non-business relationships. A coworking creates community. It is not necessary that all members work in the same commercial sector to work together and share space. 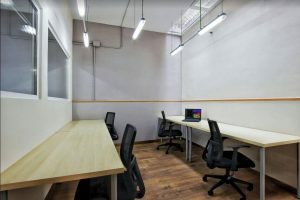 A workspace generates connections with different professionals, who cooperate to improve their work activity. 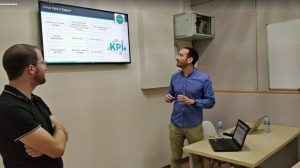 On the other hand, not all coworking are the same and in a city as big and inhabited as Barcelona, what characteristics does a coworking have to have to adapt to me? 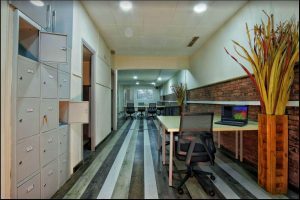 In this post, we will discuss 8 important tips that help you analyze different aspects of these spaces so that you can choose the best one for you and your company. Barcelona is a city with many growth opportunities, but you have to search well what space you can provide them. The needs of each company are different and their methods of work also. There are types of work that require constant visits, making calls, ample space, etc. What kind of space are you looking for? Maybe a closed office suits your needs. On the other hand, you can work in the same room as other companies and it is very beneficial for your activity. Prioritize the most important features and look for a coworking that offers you the space that suits you. Coworkers who are not extremely big, achieve a more familiar space, producing in this way a feeling that you are part of a community. In a big city as Barcelona with so many spaces, it is very important to choose correctly the place where you will work. The facilities that you can provide each neighborhood as public transport or parking are different. Value that coworking has good access and you can easily reach. Not only is it important to you, but your customers will also value it. The environment is part of your work environment, therefore, open spaces, supermarkets, coffee shops that you may have nearby are important. 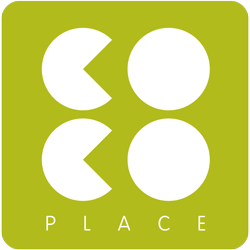 Coco Place is located in the neighborhood of Gracia. 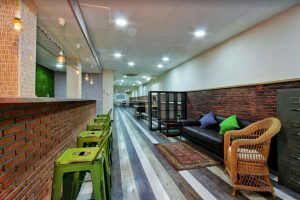 Do you know the advantages of having the coworking there? One of the most important aspects, when you have to decide coworking, is the flexibility that offers in terms of time and equipment. Searching for a space that suits your schedule will help you to organize yourself -Also to your visitors- and it will provide you with more accommodation. Barcelona is a city with completely different prices depending on the area or the surroundings. Depending on your goals and needs, you have to assess whether you are interested in saving more expenses in terms of services or location or if you see coworking as an investment for your company, therefore the added value and its facilities are the priority that the price. If our idea is to stay a good time in coworking, we have to think long term. The factors that we have mentioned can be those that together, offer you more possibilities for growth. Each space can provide you development opportunities. The essential thing is to find a coworking that fits the needs of your company and can adapt in the future. Now it’s your turn, value what tips are most important to you and which coworking can offer you what you need. We hope this article will help you make a good decision.